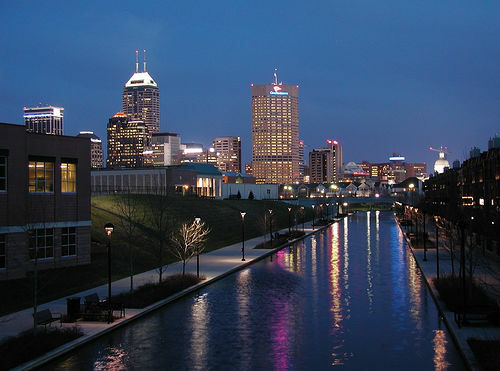 Indianapolis, Indiana, is the capital and largest city in the state. It is a major center for the Midwest section of the US, and has a developed tourist industry. This city has a good amount of culture and events, as well as historic sites and monuments. There are also some lovely places to be outdoors when it is nice outside. Many of these parks and historical sites have areas that leashed dogs can accompany their owners during their visit. The Crown Hill Cemetery is located on beautiful grounds that contain lots of different trees, plants and little animals running and flying around. 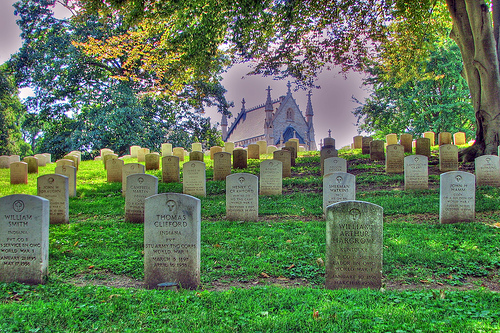 It contains the graves of President Benjamin Harrison, poet James Whitcomp and even bankrobber John Dillinger. There is also a lovely urban view from the graveyard. Dogs are allowed to explore this area with you, so long as they are leashed. While dogs are not allowed in the buildings of the Indiana War Memorial, they are allowed on leash within its three parks and 24 acres of monuments, statues and sculptures that surround this area. It is located in downtown Indianapolis. 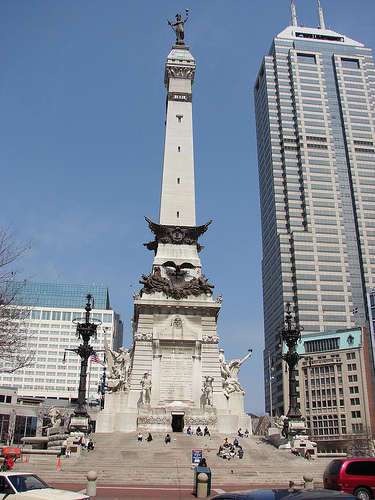 The Soldier’s and Sailors’ Monument is located in Monument Circle of Indiana, and was designed by Bruno Schmitz and constructed from 1888-1901. 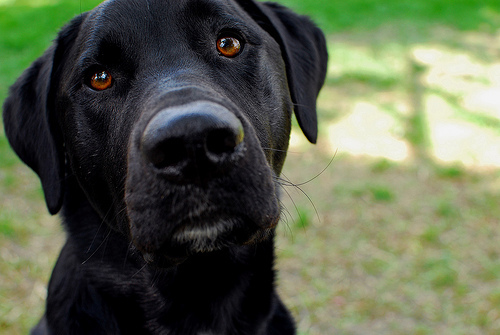 Dogs cannot go into the museum, but are allowed outside the building so long as they are leashed. The former residence of 23rd president, Benjamin Harrison, has a nice house and landscaped grounds. Leashed dogs can be outside, but not in the building. White River State Park is located in the heart of downtown Indianapolis, and has lots of different attractions and entertainment throughout its premises. There are lots of different sections of the park to walk around or just lounge on the grass. Dogs are allowed in this park on leash, and there are some clean-up stations in some parts. Plump’s Last Shot is a bar that has some food, along with a dog-friendly patio. Henry’s on East is a coffee bistro that offers assorted drinks, breakfast, lunch, dessert and weekend brunches. Leashed dogs can sit at the outdoor tables. Front Page Tavern is a sports bar and grill that offers different types of drinks and a few things to eat. Leashed dogs can sit at the outdoor tables.